A police operation to root out a criminal group active in northeastern Estonia launched in the summer of 2014 has led to jail sentences for a number of the region's underworld figures, including the group's leader, Roman Smirnov. A court on Friday found Smirnov, 41, and Eduard Levitski, 34, guilty of leading a criminal organization that had been active in the area since 2005. Convicted as members of the organization were Dmitri Belov, 44, Devid Davidson, 41, Oleg Demaskevits, 42, Andrei Kisseljov, 31, Oleg Kukharchik, 49, Silver Semiskar, 44 and Sergei Titov, 42. Two more defendants, Jevgeni Smidt, 34, and Pavel Hissamutdinov, 36, were found guilty of extortion. In addition, Levitski and Smirnov were found guilty of unlawful handling of large quantities of narcotic drugs for the purpose of significant proprietary benefits, extortion and injuring a thing of another. Also several of the people convicted as members of the group were found guilty of extortion or acts of violence. The punishments were meted out under a compromise procedure. Smirnov was handed a punishment of six years and ten months in prison. He was also ordered by the court to satisfy two civil actions for more than €33,000 combined and to pay some €5,400 in procedural costs. Besides over €100,000 and a property in the city of Kohtla-Järve were confiscated from Smirnov. Levitski was punished with a jail sentence of six years and three months, and a property belonging to a third person associated with him in Alajõe village was confiscated. Five other men were handed non-suspended jail sentences ranging from four years and one month to six years and one month, whereas the rest of the defendants received conditional sentences. Four other defendants of the 18 people charged as part of the investigation are being tried under general procedure and three, Vladimir Beljakov, Aleksandr Rak and Andrei Andrejev, were convicted by the court earlier. The prosecutor in charge of the investigation, Antti Aitsen, pointed out that by the court's decision read out on Friday more than €300,000 worth of assets, including cash and properties, was confiscated from criminals. "Crime must not pay," he said. According to the statement of charges, the criminal organization created in 2005 at the latest engaged in the handling of large quantities of amphetamine, fentanyl, metamphetamine, marijuana and cannabis and committed crimes against property. The criminal organization also racketeered people engaging in narcotics trade, trade in illegal cigarettes and illegal fuel and other illegal business. It was a goal of the organization to keep the narcotics trade taking place in the territory of the northeastern cities of Kohtla-Järve, Jõhvi, Sillamäe and Kiviõli under their control to the maximum possible extent, and to gain maximal proprietary benefits from it. It was also the organization's goal to make sure to the maximum possible extent that only narcotic substances produced or imported by the group were sold in these areas, or to allow sellers of narcotics active in these regions to sell substances acquired elsewhere by paying a fixed commission to the group. Persons who engaged in illegal activity without the permission of the criminal organization led by Smirnov were punished by the organization with seizure of goods and use of physical violence. 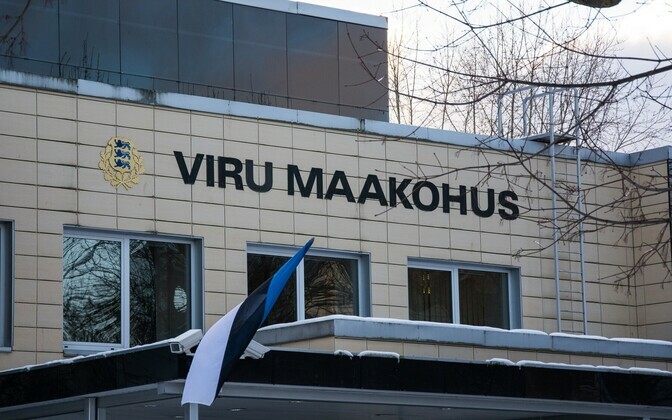 Members of the criminal organization also engaged in solving differences and problems between individuals living in Ida-Viru County as elsewhere, making use of the criminal authority they had built both in Ida-Viru County and in Tallinn over time, the statement of charges read.